Turkish U18 National Team beat Belgium 2-0 in a friendly match. The match was played in R. Albert Quevy Stadium, Mons, Belgium. Turkey's goals were scored by Ozan Muhammed Kabak ( Min. 80, Pen.) and Recep Gül (Min. 84). 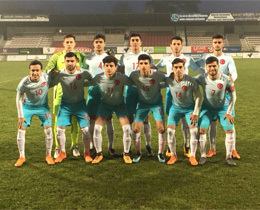 On Tuesday, March 20, 2018, Turkish U18 National Team played another friendly match against Belgium and won 2-1.